either by immersion or pouring. 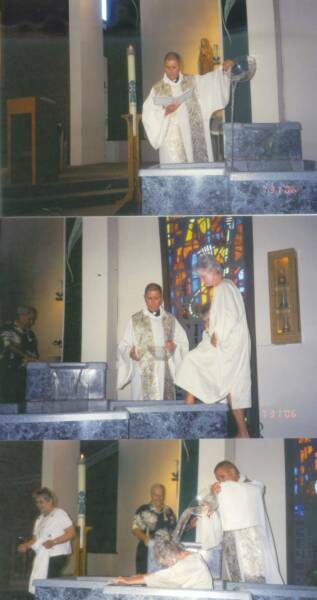 The two options are always listed in that order, indicating a preference for baptism by immersion, even though pouring is more commonly practiced. suitable as a symbol of participation in the death and resurrection of Christ, or pouring may lawfully be used"
immersion in the baptismal water" (1239). 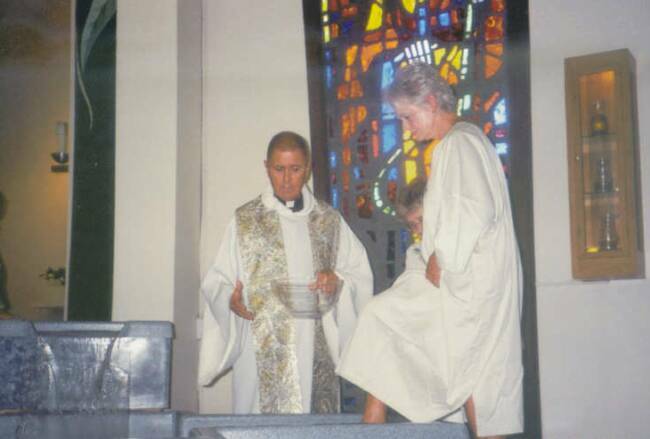 The National Statutes for the Catechumenate approved by the National Conference of Catholic Bishops in 1986 say, "Baptism by immersion is the fuller and more expressive sign of the sacrament and, therefore, is preferred. ... Provision should be made for its more frequent use in the baptism of adults" (17). times over the head of an infant. Since the Second Vatican Council, many parishes have erected larger fonts for the immersion of infants and adults. three times into a large bowl of blessed water. When immersing an adult, there are other options. 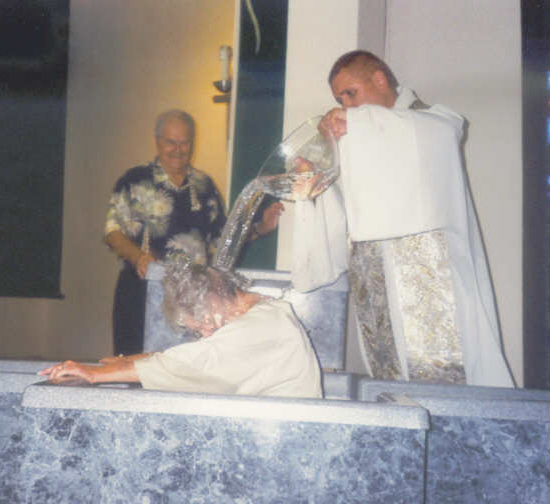 Adults may kneel in a pool while the minister pours water three times over their heads. Or the minister may bring them face forward into the water three times. Or, if the pool is deep enough, while the adult stands, the minister may take him or her backwards into the pool three times.